pakarang started a topic RENAMED THREAD: The Korsfjord, and the official FLAKK-RØRVIK thread. 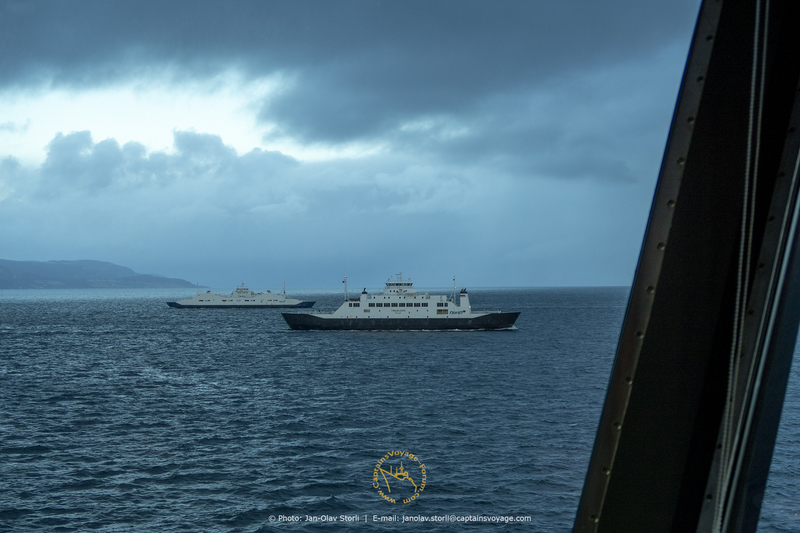 As the "K" now operates under the command of another Captain, at another place in Norway, my memories of her haven't faded yet. Here is an image I probably haven't shared yet, when she came back from her annual rejuvenation with a BLACK hull. I never really stopped to think that the K was the ship on which you had served the longest - and that as captain too. That;s quite a thought, and for sure an emotional one. Within time, I guess she will surely fade into history. But after all, the K has become the ship I have served the longest time on board, of any ships from my life. 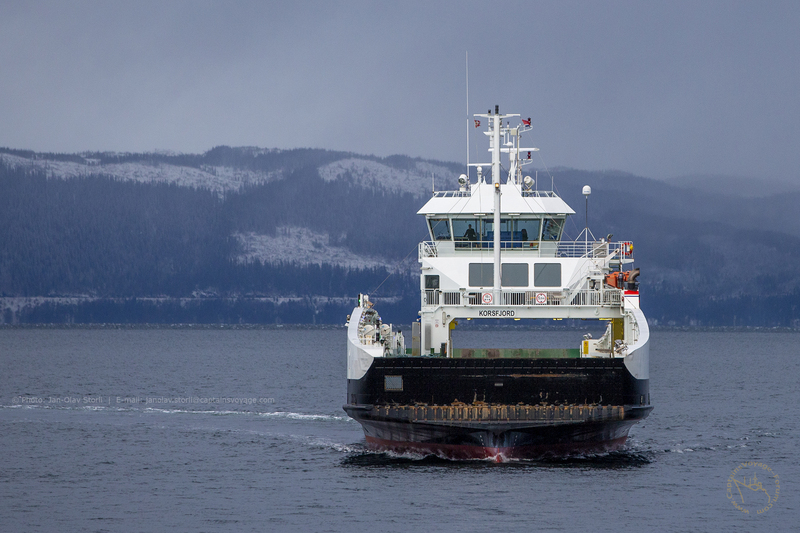 Glutra is temporary replacement for one of the two new ferries that will be used on the Hareide - Sulesund route. They will be delivered in the nearest few weeks. GLUTRA was once specially designed and built to operate the Seivika-Tømmervåg stretch between Kristiansund and Tustna/Aure, a stretch that over the years has become one of the most used connections in this region besides the Kanestraum-Halsa stretch of course. Then, MRF (now Fjord1) won the battle to get the Flakk-Rørvik stretch and then they "stole" GLUTRA, added a few meters to her length and started to use her there. What we got in return between Seivika-Tømmervåg? Well, what do we usually end up with here in this part of the county? Near scrap: two former Flakk-Rørvik workhorses BJØRNSUND and NORDMØRE, the latter now changed with the just as old STORDAL. (All of them built in 1979, for crying out loud...., 40 years old this year!!!). Then Fjord1 loose the battle for Flakk-Rørvik and GLUTRA is again "free". 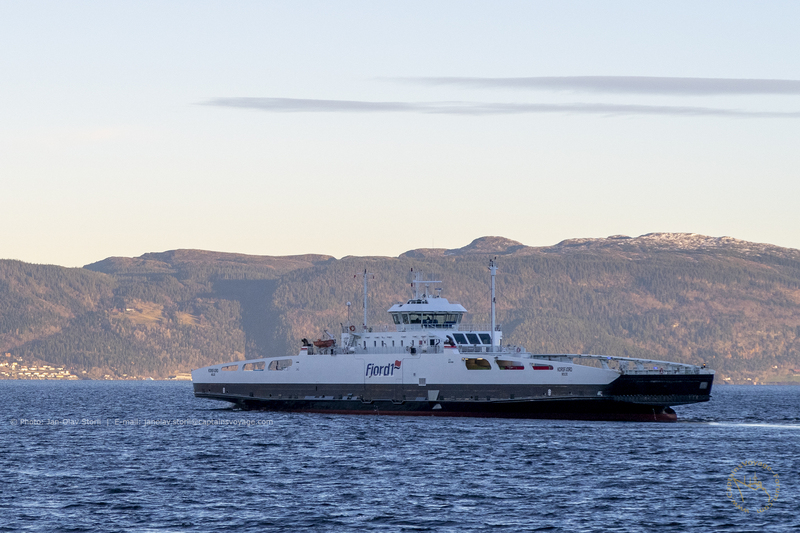 But do we get her back to continue Seivika-Tømmervåg as her new capacity is much needed? Nope, of course not. She's "more" needed in the southern part of the county, where the Fjord1 is more "at home". 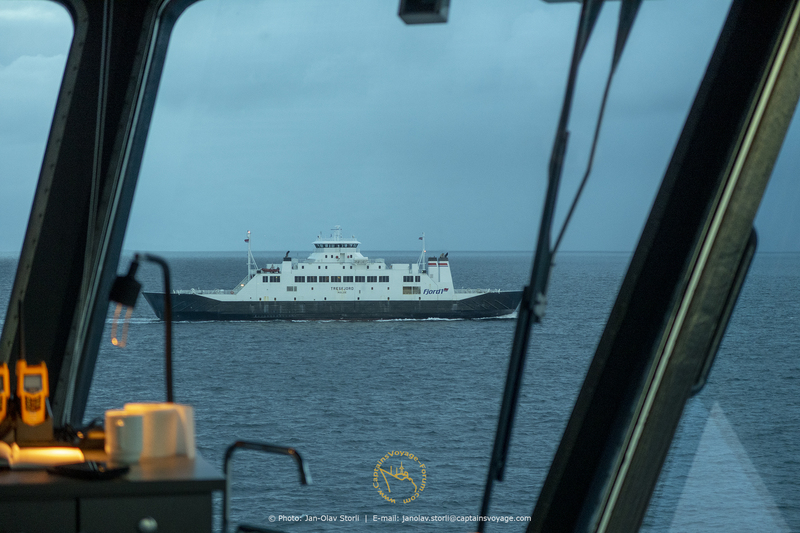 Now, they say we will get brand new ferries to operate in my part of the county, the so called "Nordmørspakken"..., but for us who has lived a few years, and heard "breaking news" and fairytales from MRF/Fjord1 a few times before...., the "Nordmørspakken" is X-FILES for me (you don't belive it before you actually see it). Ooooo...., grumpy old man today, Mr. Sterkoder? YES! Last edited by Sterkoder; January 3rd, 2019, 13:49. And Glutra has started her Hareide - Sulesund run. Having just been enjoying the Christmas stars on the hurtigrutes Bengt has been photographing in Tromsø, I realise I didn't mention how great Korsfjord's looks in your #1277. What a super project that was for your fine trainee engineer - Viggio ? - not sure how to spell his name - and so haven't kept track of how his career developed. I can't be sure if there was such a seasonal decoration on Fosen or if it is an FNS thing at all, but in any case brand new ferries come without traditions. Last edited by ombugge; December 31st, 2018, 18:36. Yeah, I agree.... always thought that too. She has a very strange profile from the pakarang stand. 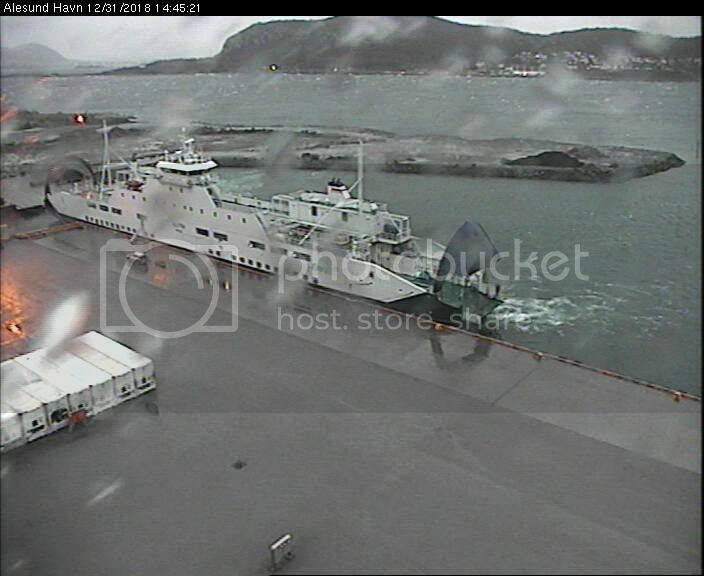 See she's docked at Bolsønes Verft in Molde as we speak, as well as Glutra having reached her next assignments. Tresfjord will remain for a while. Korsfjord is one of the most interesting ships seen here from the "pakarang perspective" point of view. Looking a bit funny with that "chopped off" deck. Seems like somewhat choppy waters on the fjord that day, the 19th - attractive light, unusual views and still a bit of ferry history even when not exactly 'last times'! And a first time at the new ferry dock too. So that's what it looks like - terrific image, #1278/1. And the photos of Korsfjord on the 5th - I'm looking at #1279/2 which I especially like, and the drone shots too complete with Finnmarken - and I'm marvelling at how you are still taking such distinctly different images of the K after all these years.